To Sariska-By Road-An Album | This Jaipur! These pictures are from the overnight visit Madhav, a cousin, and I took with our sons to Sariska Tiger Reserve & National Park & Alwar. 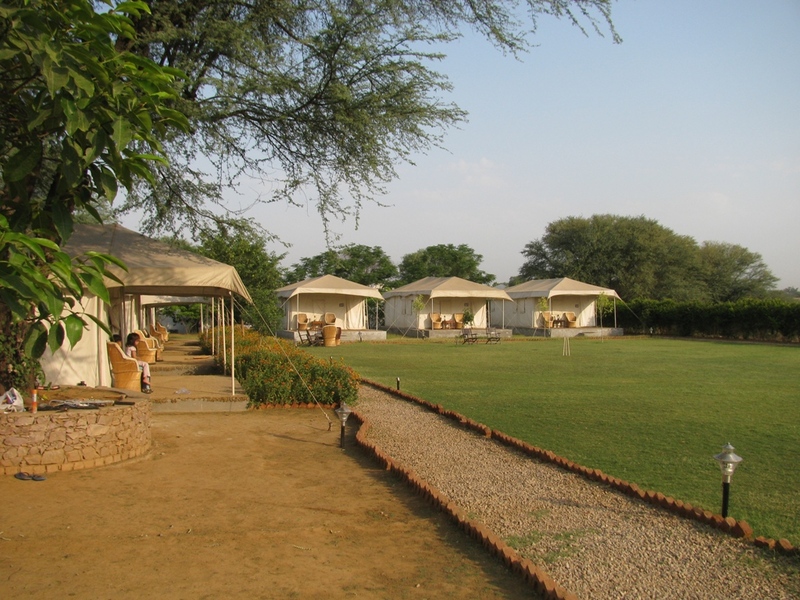 Sariska is some 110 km from Jaipur. We went on the Jaipur-Delhi Highway till Shahpura where we turned for Thana Gazi & The Fort View Camp. This camp site is managed by Club Mahindra. It is located quite near to the gate of the jungle. On the way to Sariska,this is where we broke our journey to have some tea. If for some reason the White House was located in Rajasthan I am sure the locals would have called it ‘Dholi Kothi’. 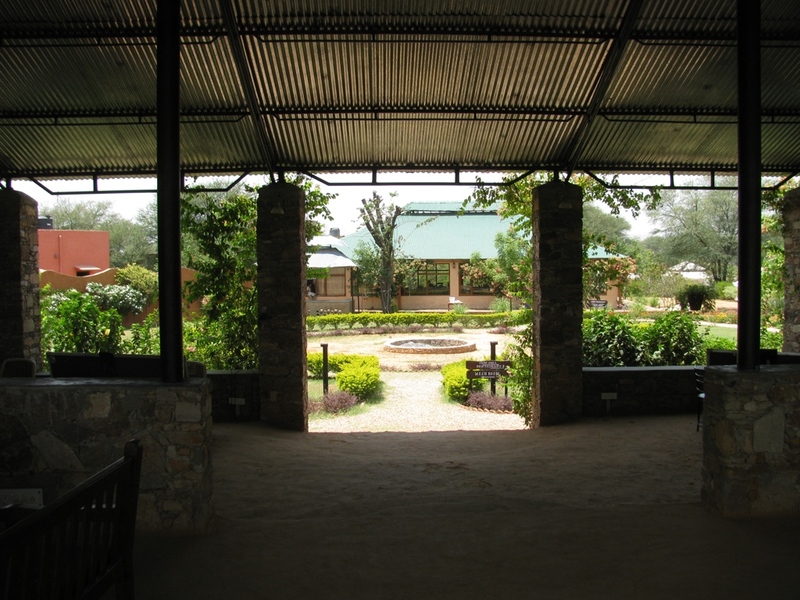 This is the view of the dining hall from the reception area of the Fort View Camp Site.The food served in this picturesquely located dining hall was excellent. View of the Fort of Thana Gazi from the Campsite. The Location Map of the area. This Machan faces a stepwell where wildlife comes to drink water. As Sariska Tigerlands were a hunting preserve of the Maharajas of Alwar the Alwar Royals used to hunt wildlife from this Machan. A badly needed drink at the stepwell facing the Machan. Sambhar, the jungle guides call it the food of the tiger. As we wanted to photograph the Cenotaph, Moosi Rani Ki Chatri, we drove on to Alwar. This entry was posted in Accomodation, Around Jaipur, Bird Watching, City Life, Deer Park, Photography, rajasthan, rajasthani, tiger, Travel and tagged Alwar, camp, Camps, Campsite, Delhi, india, Jaipur, Maharaja, rajasthan, sariska, Sariska Tiger Reserve, tiger, White House. Bookmark the permalink.